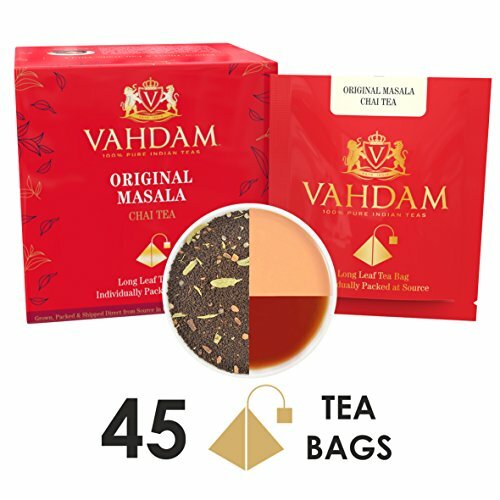 NTRODUCING THE BETTER TEA BAG - Discover the superiority of a garden fresh LONG LEAF TEA with the convenience of the VAHDAM Single Serve Pyramid Tea Bags. Each Masala tea bag is packaged in a pyramid-shaped nylon tea bag, individually enveloped & sealed at source to ensure you get the freshest cup of tea chai. It is ideal for savoring traditional tea India chai moments. Brew as Hot Tea or Iced Tea. Discover a NEW WORLD OF TEA.